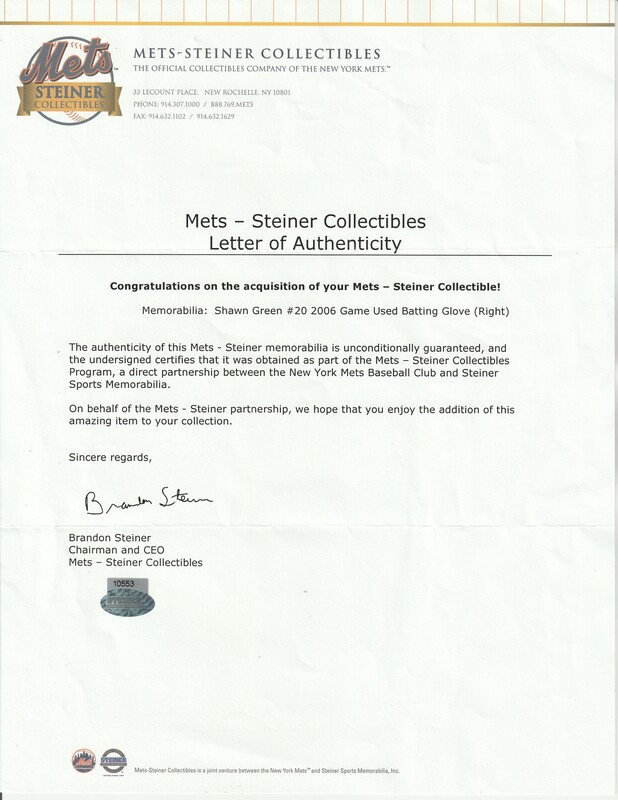 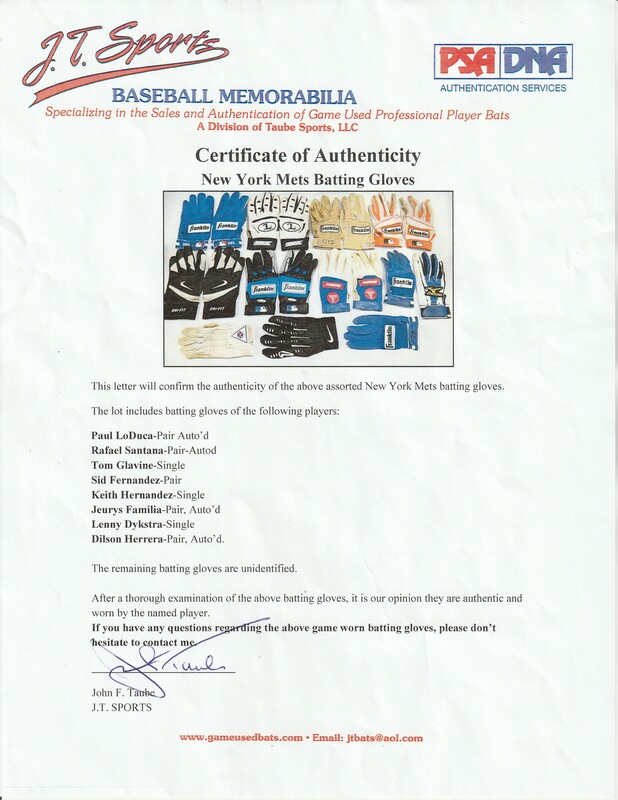 Offered here is an expansive collection of signed and unsigned New York Mets batting gloves. 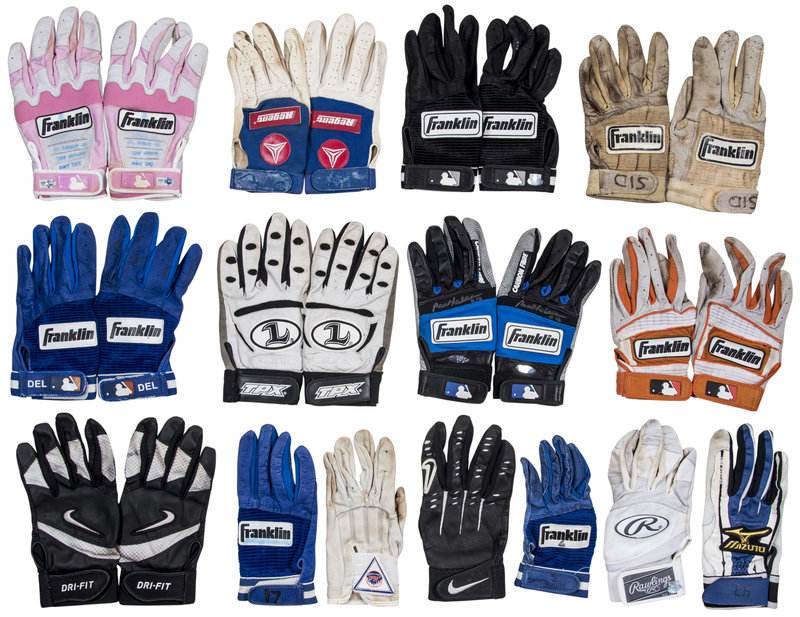 Pairs of gloves in this lot belong to Paul Lo Duca (both signed), Rafael Santana (both signed), Sid Fernandez, Jeurys Familia (both signed), and Dilson Herrera (both signed). 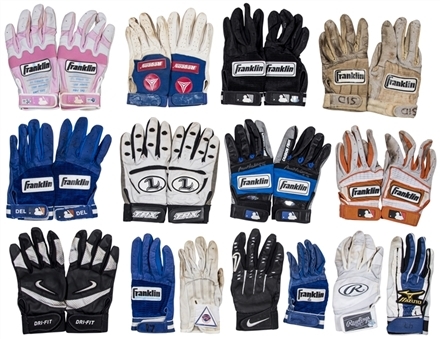 Single gloves in this lot include Tom Glavine, Keith Hernandez, and Lenny Dykstra. 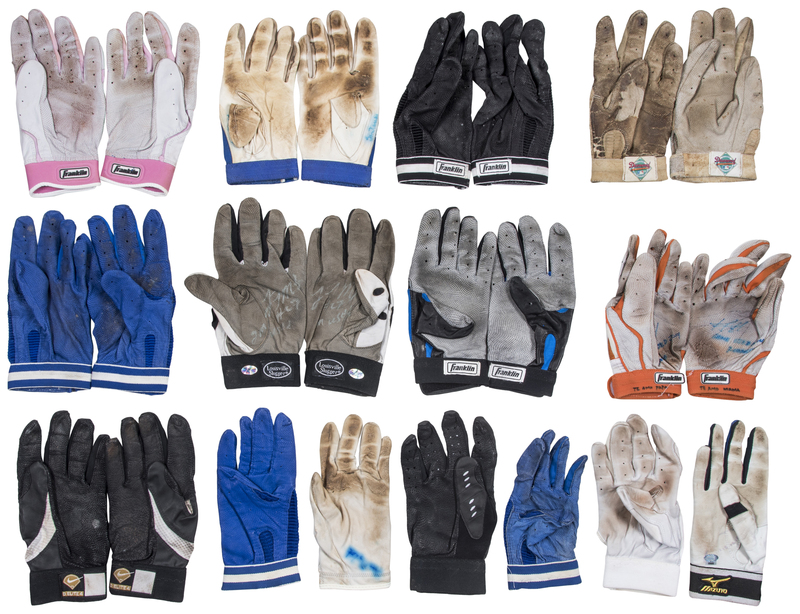 Several unidentified gloves are included in this lot. 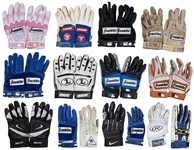 Also included in this lot is a pair of pink Franklin batting gloves worn by Justin Turner on May 8th, 2011. 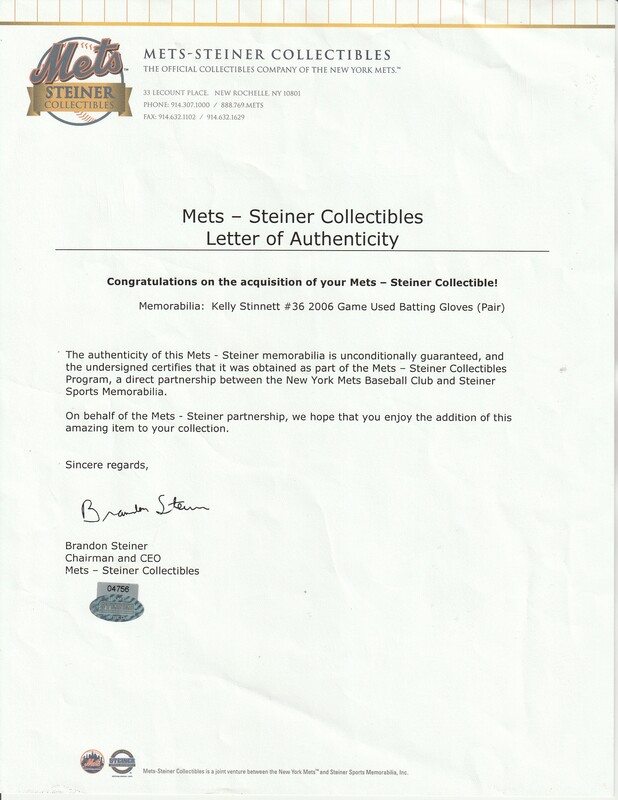 Turner played second base in this game, a 4-2 loss to the Dodgers at Citi Field, and finished 1-3 with a run scored and a walk. 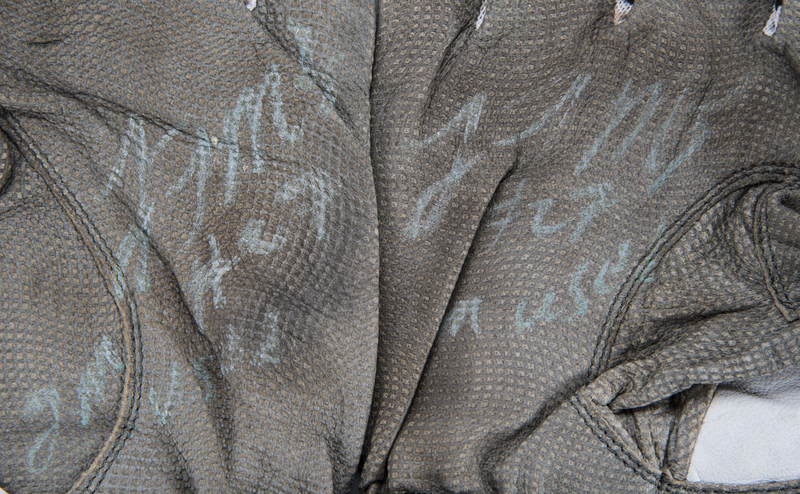 Turner has signed and inscribed these batting gloves in blue marker, however his signature and the inscription exhibit heavy bleeding. 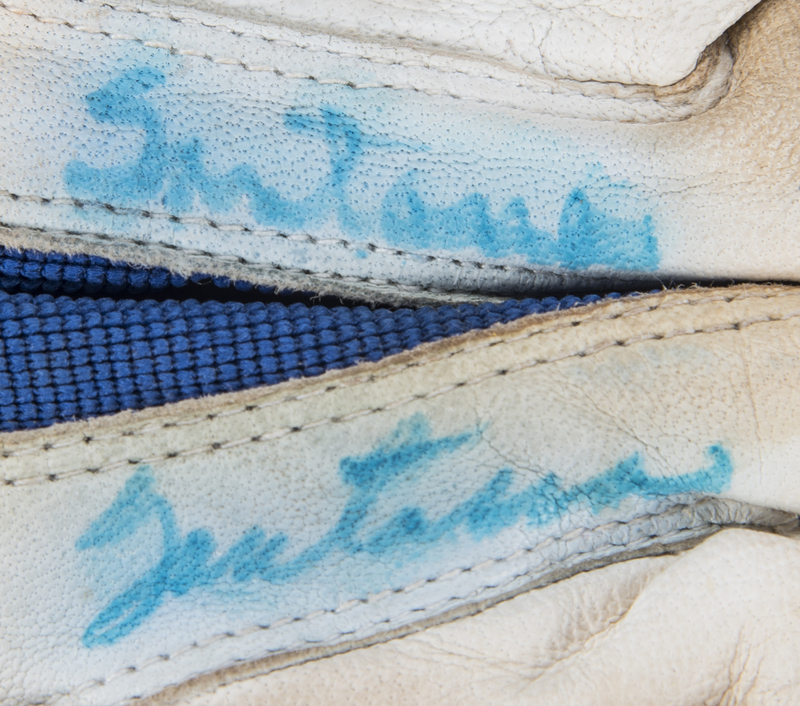 These gloves come with MLB Authenticated holograms (FJ 347004, FJ 347005). 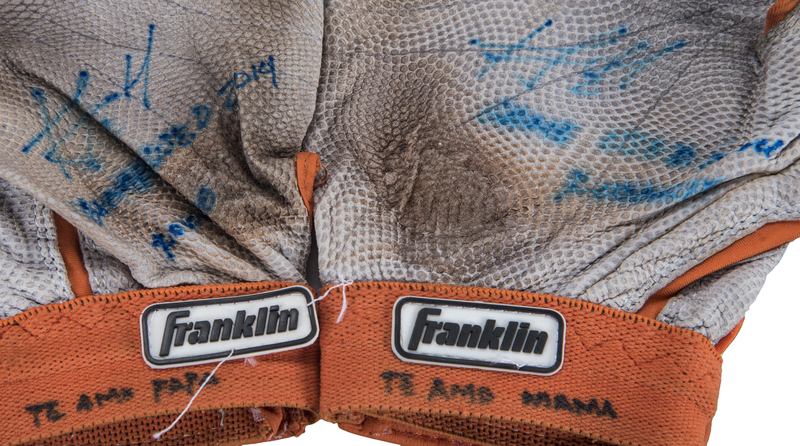 The remaining gloves come with a LOA from JT Sports.